According to Variety, Queen Latifah is set to appear in and produce a teen comedy called Paper Chase from director Angela Tucker (All Styles). Though the movie concerns a teen girl getting ready to go to college, Paper Chase will follow a relatively recent trend in the college comedy genre by foregoing the storylines about getting in all of your last-minute high school hijinks or anxiety about going off to a university in favor of emphasizing the parents’ inability to actually pay for their kid to go to school—a take on The House, in other words. Specifically, Paper Chase is about a girl named Alicia from New Orleans “who is ready to reinvent herself at Kensington University in Atlanta.” Unfortunately, she can’t pay her tuition, so her mom decides to “throw a rager to raise money.” You know, the normal way people pay for college! 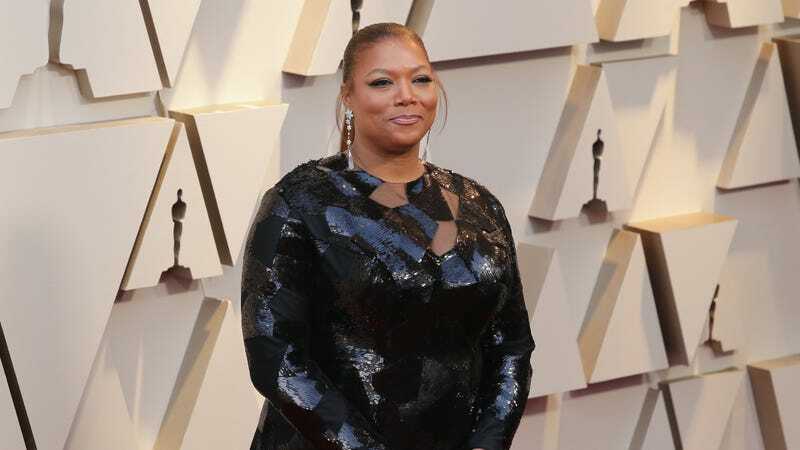 Queen Latifah is presumably playing the mother, though Variety has a note in its story saying that she’s appearing in the movie and not necessarily starring, so she might have a smaller role (some kind of dean at Kensington University in Atlanta?). At the very least we know she’s not playing the teenager, because then she’d be starring.